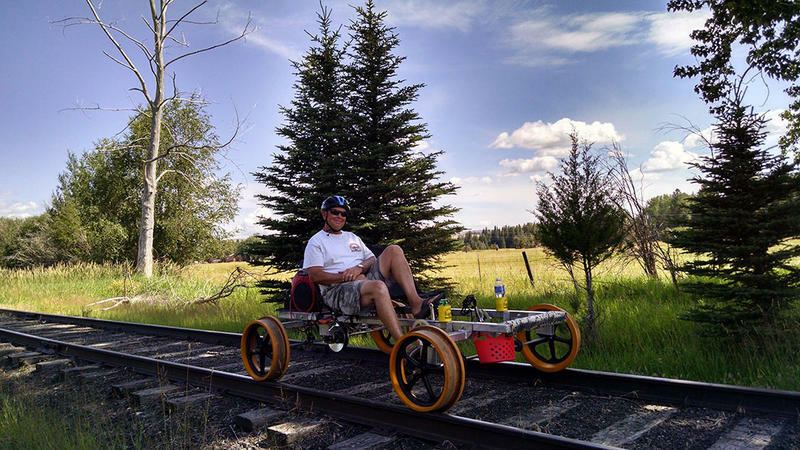 Joseph Branch Railriders co-owner Kim Metlen demonstrates pedaling a Railrider. Getting ready to ride the original "railrider" tour line in Joseph, Oregon. Scenery on the original "railrider" tour line. 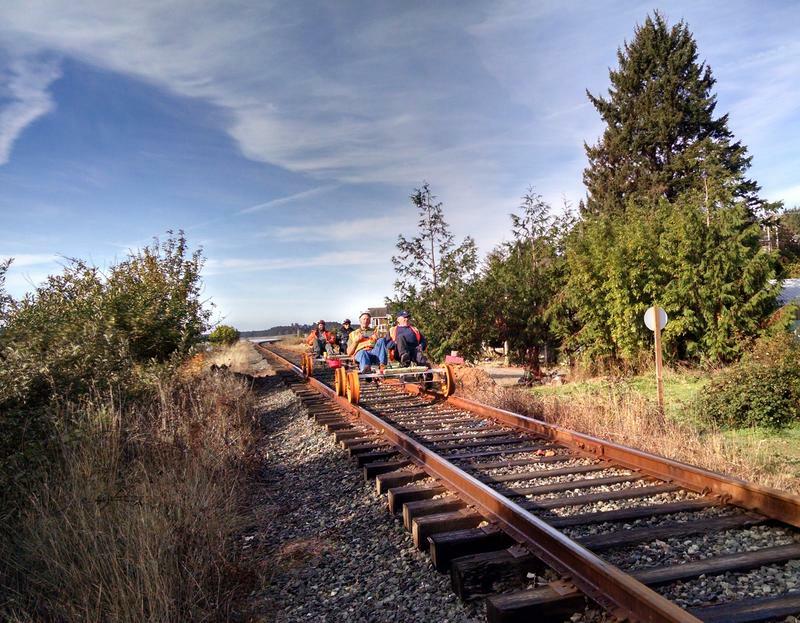 Testing the new stretch of inactive rail line on Tillamook Bay. You may have heard about "rails-to-trails" conversions. Thanks to some entrepreneurial bicycle enthusiasts, you don't need to wait for the rails to come out in two Oregon counties. 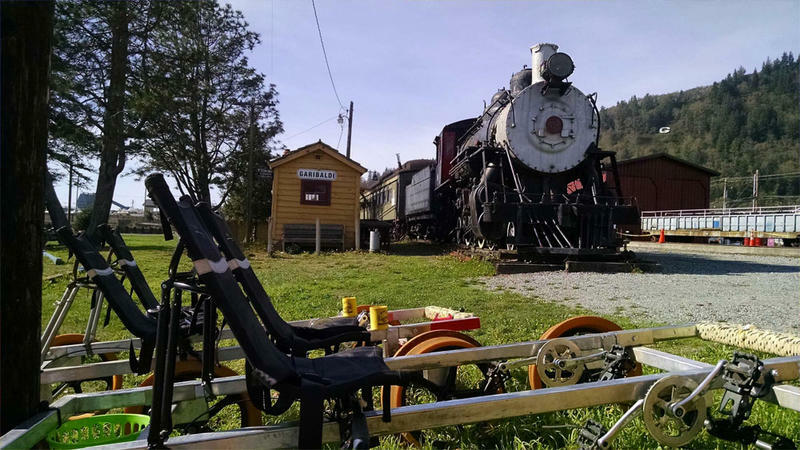 Friday, a company begins offering scenic tours along Tillamook Bay using pedal-powered contraptions that ride on the rails. 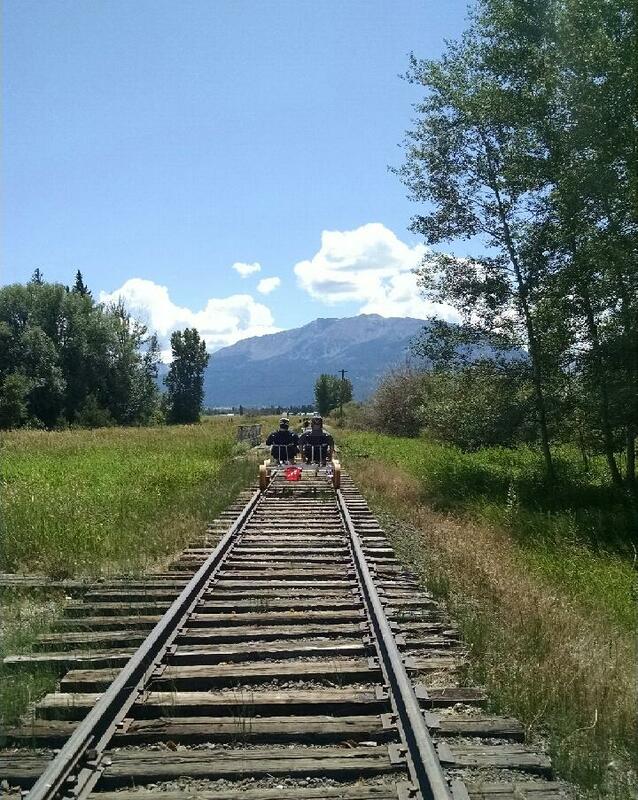 In 2014, a northeast Oregon couple, Kim and Anita Metlen, started offering railbike tours in Wallowa County on an inactive rail line. Anita said they were perfectly satisfied cultivating that business. "Certainly, people would talk to us and say, 'Oh man, we have this rail line in our area. Boy this would be perfect!' she said. “So you have a lot of that conversation going on." Then Tillamook County officials called. They were able to convince the Metlens to expand to an unused stretch of rail between Bay City and Tillamook on the Oregon Coast. The entrepreneurs doubled their fleet of what they call "rail riders." 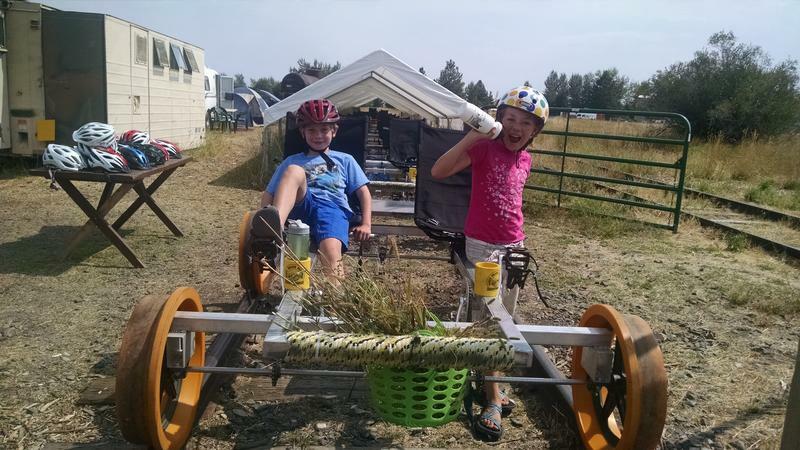 These resemble a four person recumbent bicycle crossed with a rail car frame. The rail rides are only available with a guide. The sister companies the Metlens operate have exclusive use of the rails they use for their tours. "People really enjoy doing this because it is very novel. You're sitting on a unique four-wheeled, pedal-powered vehicle," Metlen explained. "It's very peaceful. You see a lot of wildlife and you see the birds. You see the natural habitat that you're going through." "You're traveling where a car generally does not travel," Metlen added during an interview from Joseph. "You see things in a whole different perspective," Port of Tillamook Bay Director Michele Bradley said. The port owns the rail line, which connected the coast to the Willamette Valley until a bad storm in 2007 severed the link. The brand new Tillamook Bay tour operation offers a two hour, 11-mile roundtrip starting in Bay City up to three times per day. The original Wallowa County tour operation began its third season earlier this spring. Starting from Joseph, railriders there can make a two hour, 12-mile roundtrip to Enterprise. There is also a longer, six hour option that starts in Minam and travels roundtrip to Wallowa, Oregon. On both sides of the state, the tours operate on a Thursday to Monday schedule until early October.